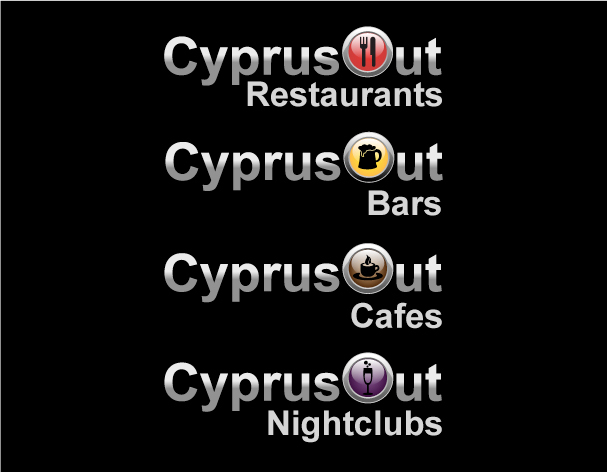 CyprusOut.com is a website that strives to give you all the information you need to plan your nights in Cyprus. 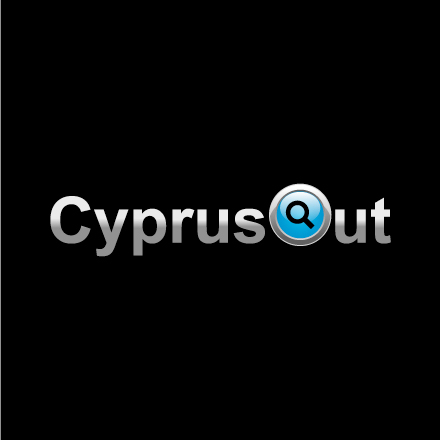 Whether you are in the mood for a feast at a fancy restaurant or a night of partying hard at the country’s most outrageous clubs, CyprusOut has all the answers! 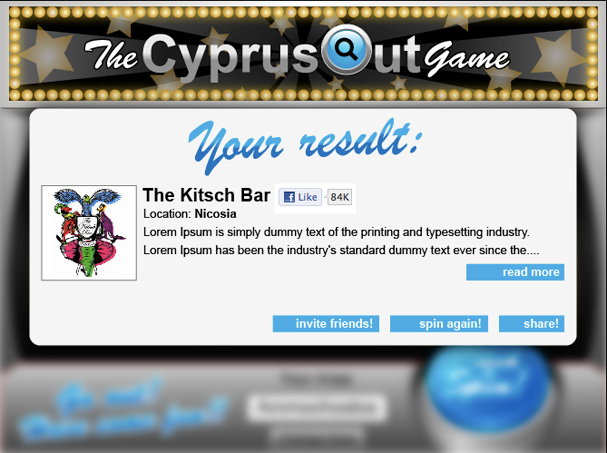 Just Go Out and Have Fun! 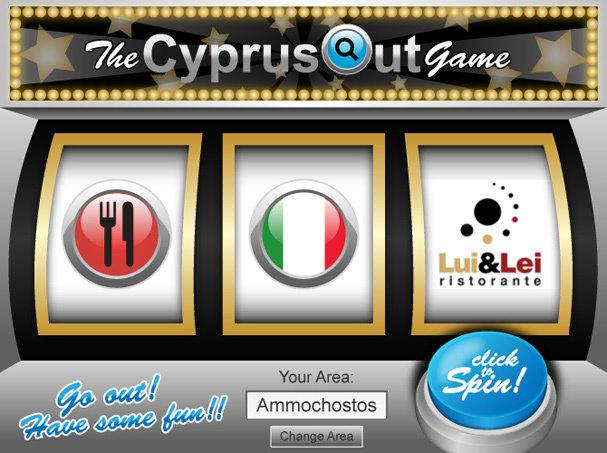 I designed the website layout, the logo featured on the site, the various graphics, the flash banner to promote the site and a game to promote the site on Facebook. 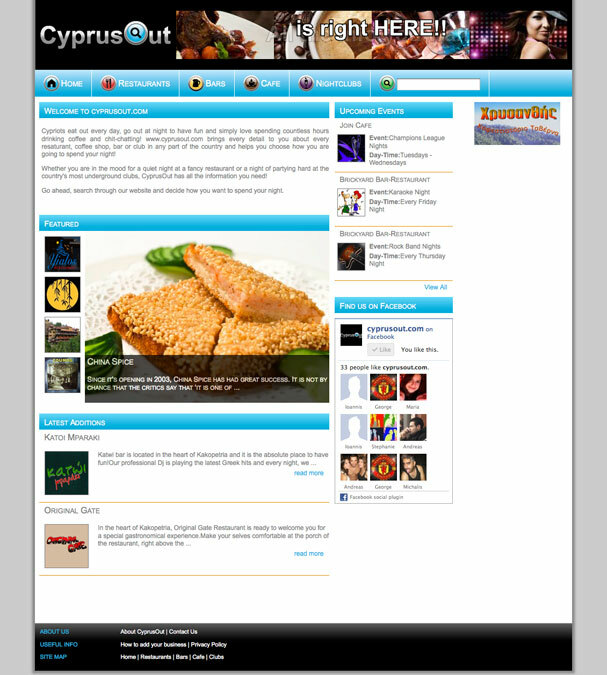 Development for this project was done by Opium Works Ltd.